Game on point with the Number rated prortable volleyball net system! Exceeding level of play; mix of affordability, quality and durability, all within a budget. Truly portable, lightweight volleyball systems that will last as you create memories for years to come. Triball Volleyball Net System is volleyball with a twist! Unique and fun 3-WAY VOLLEYBALL! What is the best volleyball set for me? Are grass stains or sand wedgies just another weekend? 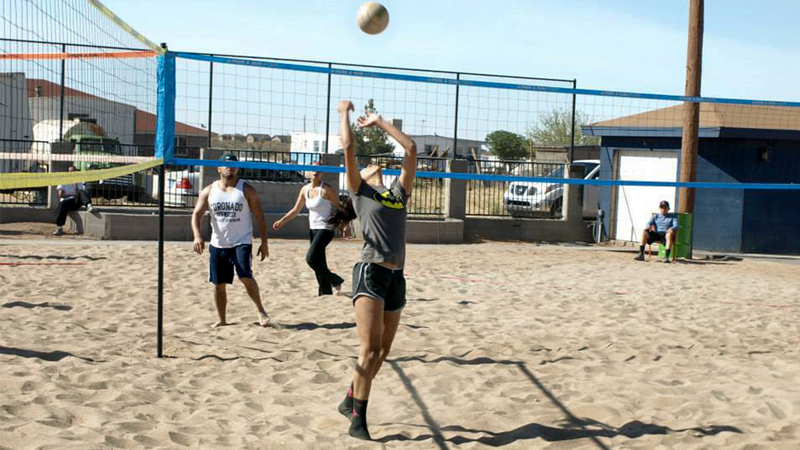 Think pancakes aren’t just food, and you dig without a shovel…Then it sounds like you are a serious outdoor volleyball player, and are in need of a serious outdoor net system. Look no further than the internationally renowned Spectrum Volleyball Series, known for high-end quality and durability, ease of portability, and even faster set-up. Learning how to spike a volleyball without a closed fist or slam dunking it. Not serving from the middle of the court, passing the ball without catching it, because you are no longer playing by house rules. Park & Sun Sports Tournament Volleyball Series sets offer an exceeding level of play with their mix of affordability, quality and durability, all within a budget. Don’t mind working up a sweat every once in a while having some family fun on holidays or a family get together. You may not be King or Queen of the beach, but you are royalty of the jungle. Pancakes are food, and you can’t dig because you left your shovel at home. 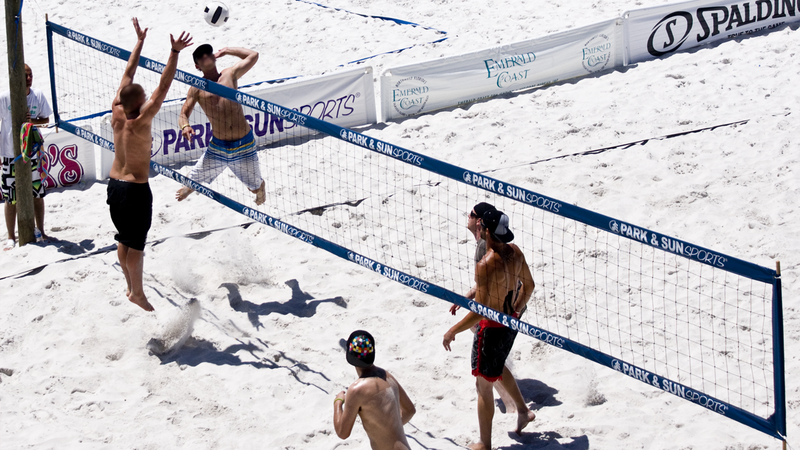 Park & Sun Sports’ Sports Volleyball Series net systems were designed with families in mind. Truly portable, lightweight volleyball systems that will last as you create memories for years to come. Do you eat, sleep, dream volleyball? Build the court of your dreams with the Tournament 4000 permanent/semi-permanent volleyball series. Crafted from 4" aluminum poles, this series is designed to be a permanent fixture in your volleyball haven, and with the professional-grade regulation size BC-400 volleyball net, you will be ready to showcase your volleyball prowess. With the optional 4000 ground sleeve kit set-up and storage between games or seasons is a breeze. Allows for convenient installation and removal of the Tournament 4000. Are you up for a challenge, new experiences and adventure? We have the game for you, times 3! 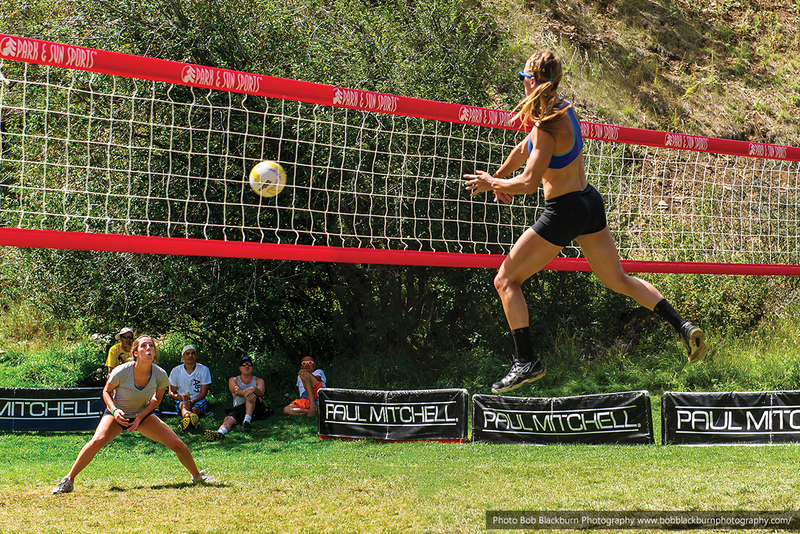 TriBall Volleyball brings, literally, a new dimension to volleyball. Play team v. team v. team with the first-ever 3-way volleyball net. This lets you bring in more players, created new and exciting plays, and create an unforgettable, colorful sports experience. The set includes everything you need to make your 3-dimensional volleyball game a reality.